I realize not everyone has royal icing laying around in their kitchen 24/7. What if you only need a little bit of icing but don’t want make the whole big batch? 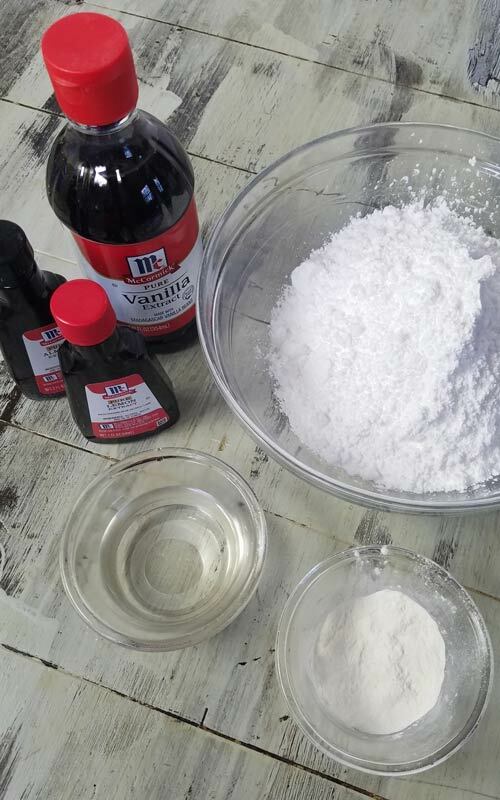 Here is a recipe for a Small Batch Royal Icing. 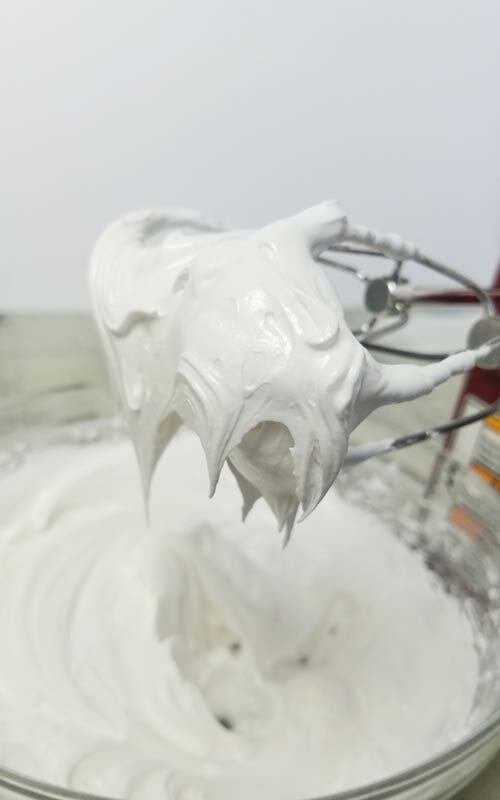 This recipe for Small Batch Royal Icing makes only 1 1/2 cups of royal icing so in case you are in the need of a bigger batch you can hop over to my Fresh Lemon Royal Icing Recipe. 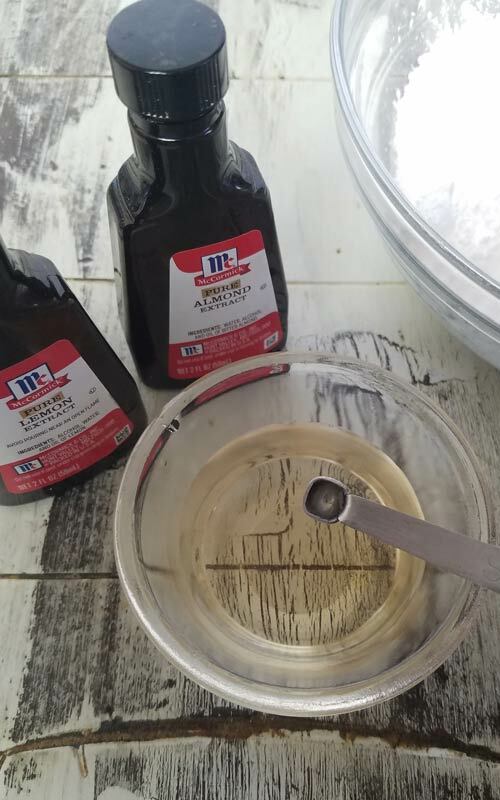 Liquid – I’m using water in this recipe. Note : I often substitute some of the water for a freshly squeezed and strained lemon juice. When using lemon juice I don’t add lemon extract. I explain more in the printable recipe below. This icing is really easy to make. I combined together powdered sugar and meringue powder. You can use a whisk or a hand held mixer works great, too. Stir Vanilla, Almond and Lemon extract into lukewarm water. Pour wet ingredients into the dry and beat with hand held mixer. Start on low speed. At first mixture will be thin. Continue beating and increase speed to medium. Beat for about 5-8 minutes. Mixture will thicken gradually and once royal icing holds a stiff peak it’s ready. If you haven’t made royal icing before you maybe not familiar with the fact that this icing crusts quickly. When exposed to air icing forms a crust on the surface within 5-10 minutes. To prevent this from happening you need to cover royal icing. For a short term you can cover the bowl with royal icing with a damp kitchen towel or damp paper towel. Crusting time highly depends on the consistency of icing and also on your ambient temperature and/or humidity. 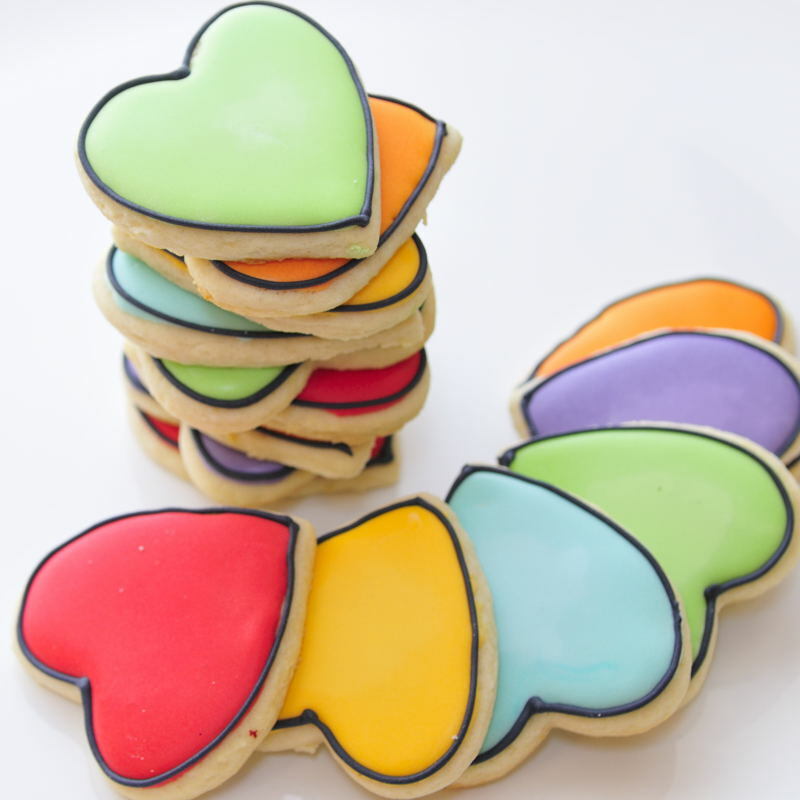 I answer a lot of common icing questions in my post Royal Icing FAQ. Problem with crusting is that while it doesn’t affect taste it can make for an unpleasant decorating experience. This is especially true when crusted icing gets mixed into soft icing and then all the little hardened particles get spooned into a piping bag. Later they clog up your piping tip while you try to decorate and have fun. 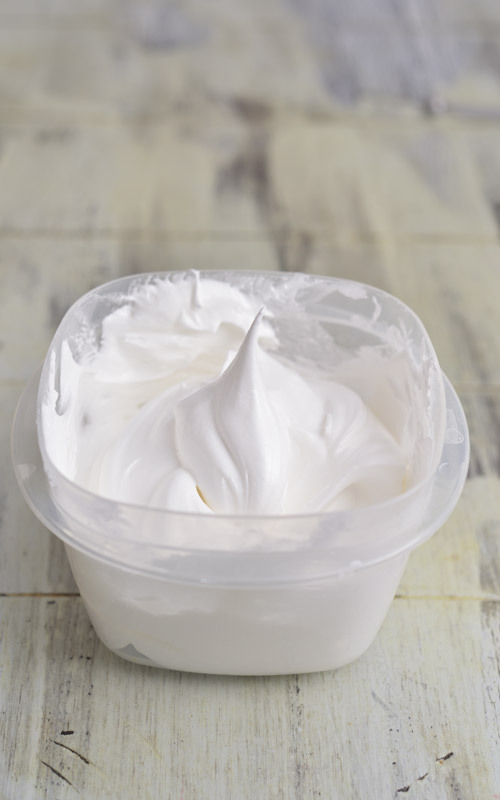 Fora long term storage(up to 4 weeks in the fridge or on the counter) I store royal icing in a food safe plastic containers or glass containers work, too. I cover icing tightly with a plastic wrap and then I secure a lid on. Make sure all your tools are grease free! I wipe my tools with a piece of paper towel and vinegar. Wipe dry with a clean towel. Into a clean bowl add powdered sugar. If you see lot of large clumps in the sugar, make sure to sift it first. 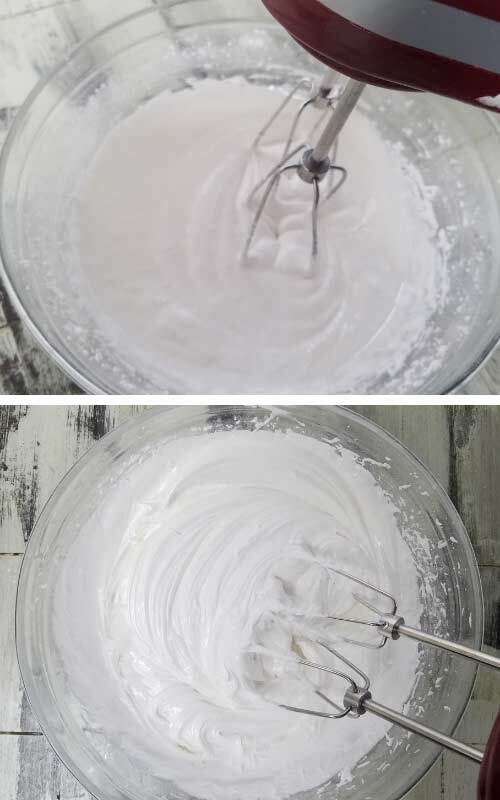 Whisk meringue powder and powdered sugar. Add vanilla, almond and lemon extracts into the water. 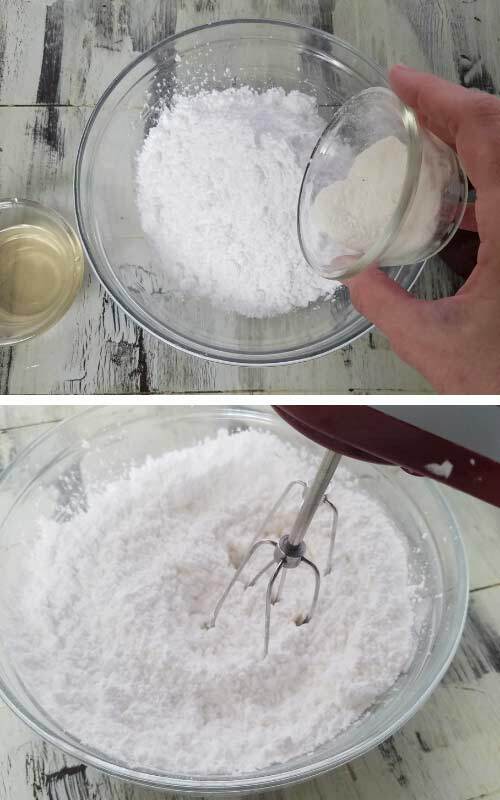 Pour liquid into the powdered sugar mixture and beat on low speed using a hand held mixer. Mixture will be thin at first. 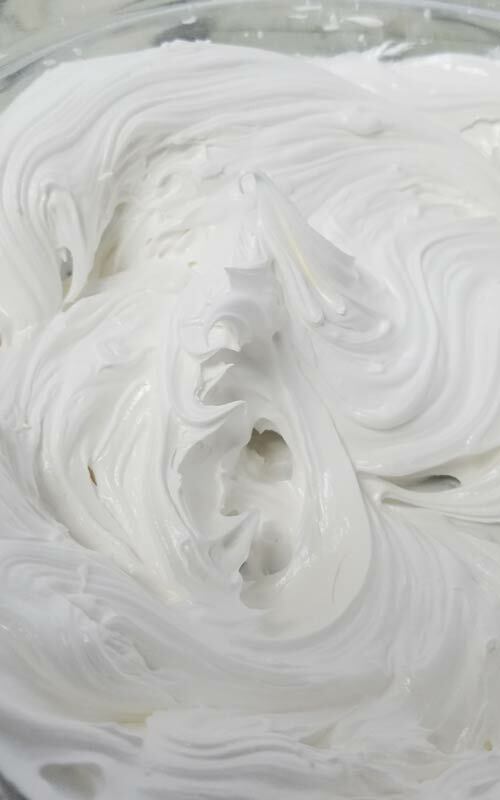 Keep mixing, increase the speed to medium and beat until royal icing thickens and holds its peak. At this point you can use your icing for your project. Color it with gel food color if needed. 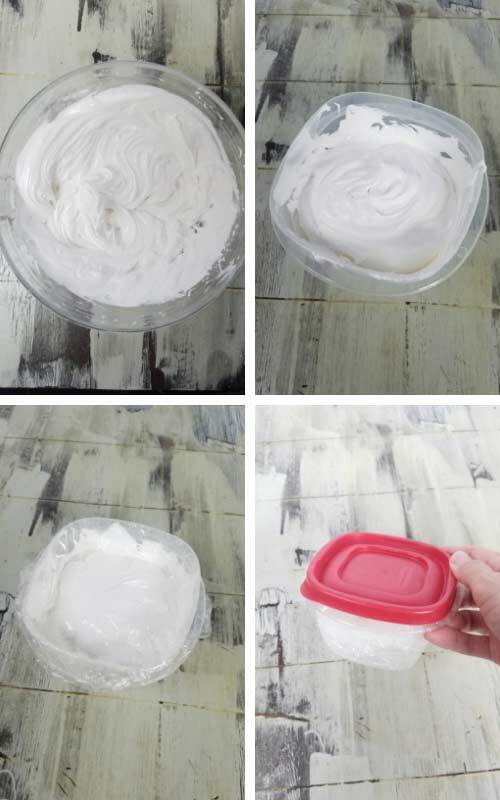 Leftover icing can be stored in plastic container, covered well with a plastic wrap to prevent it from crusting. Use a lid to close the container. Substitute 1 tbl water for 1 tbl freshly squeezed and strained lemon juice. Then you don’t need to add extra Lemon Extract.